Everything your education business needs. 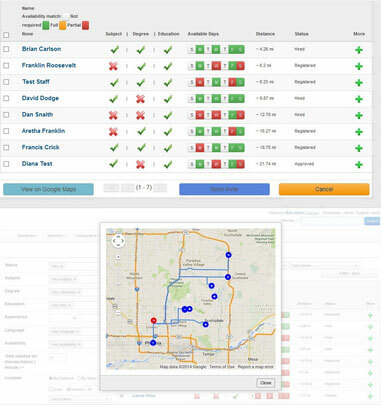 Keep your tutors accountable with the first-ever education industry GPS system. Stop paying for expensive CRM and email marketing solutions. Tutorware seamlessly integrates your sales and customer service. Hiring just got a whole lot easier. Tutorware streamlines the hiring process with our recruiting, applicant tracking and onboarding solution. Keep all of your organizations’ schedules in one place and easily link everyone’s work back to payroll. Scheduling doesn’t get any easier. Great teachers create great students. Here are some tools to help everyone succeed. Tutorware will streamline your billing, invoicing and payroll processes, saving you countless sums every year in administrative costs. Tutorware was designed to help your business grow and scale. You can view and manage multiple territories with our revolutionary education business software. Tutorware’s integrated CRM and marketing automation tools help you gain new leads and convert them into clients. Get rid of multiple software suites and spreadsheets. Tutorware is the first completely integrated education business management software that brings everything together: CRM, marketing automation, HR management, scheduling, attendance, billing, invoicing, payroll, tutor and customer portals, educator tools and more. With Tutorware you’ll be able to securely manage, schedule and bill from anywhere, anytime. Become more productive and better organized. With a few clicks, Tutorware allows you to manage nearly every aspect of your business – from sales, hiring and scheduling to operations, billing, invoicing and more. 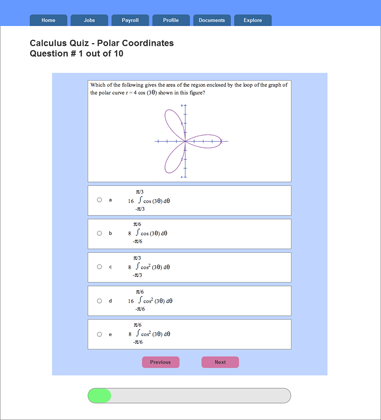 Tutorware was built by tutoring and test prep professionals and evaluated by over 5,000 tutors and 10,000 students. 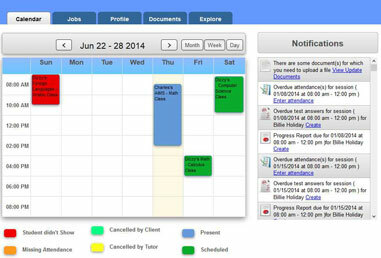 It is the ultimate turnkey education business management solution. Eliminate paper-based tutor timesheets, employment documents, customer contracts, student answer sheets, spreadsheets and more. Tutorware’s state-of-the-art electronic signature solution and ample document storage makes paper a thing of the past. From small regional tutoring centers to large, multi-state test prep companies, all of our clients report administrative time savings ranging from hundreds to thousands of hours each year. If you have a question we have a answer. Tutorware members enjoy phone and email access to our dedicated support team. Tutorware is completely web-based so you don’t have to worry about IT staff, internal servers and manual downloads. Keep your finger on the pulse of your business. 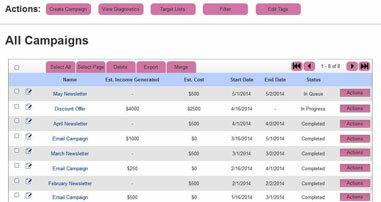 Catch and resolve issues quickly with Tutorware’s dashboard and reports system. Tutorware can help your business save hundreds to thousands of dollars each month through heightened efficiency, better business insight and paperless processes. Tutorware uses the power of social networks to make HR faster and easier. You’ll enjoy features like Facebook integrated tutor registration and sign-in, Facebook, Google Plus and LinkedIn recruiting apps and more. It’s your business.We’ll make it easier. Tutorware tracks all in-home and off site tutoring jobs, and gives you real-time visibility into critical metrics like attendance, student process, customer satisfaction and expected versus actual revenue. Increase revenue and reduce administrative costs with features such as CRM, ecommerce, HR, operations management, finance and reporting. Tutorware’s comprehensive suite provides CRM, ecommerce, HR, operations management, billing and finance to allow your learning center to grow and scale. 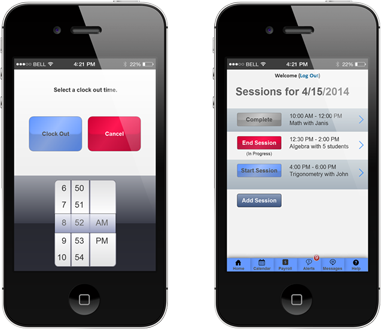 Our flexible attendance and billing system deftly handles on- and off-site clock-ins and enables you to stay on top of critical metrics such as attendance, student progress and customer satisfaction. Tutorware allows you to quickly and efficiently handle HR functions like tutor interviewing, training and onboarding. Automated tutor matching and job broadcasting helps you place jobs quickly and effortlessly. 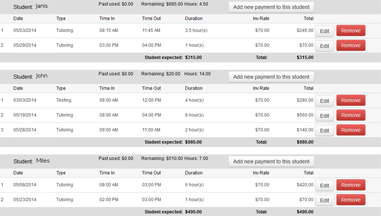 Enjoy real-time visibility into critical metrics such as attendance and student progress with our intuitive solution. Tutorware allow you to manage multiple program types and provide student progress and growth information to program stakeholders. You will also be able to track and monitor critical grant compliance issues such as attendance, student learning plans (SLPs), student progress, billing and more. Tutorware even provides special pricing for non-profit 501(c)3 organizations. Manage sales, HR, operations and finance with one intelligent solution. Use our extensive library of diagnostic tests or upload your own, and produce individualized learning plans and process reports that clients can access in real-time. Features such as CRM, ecommence, HR, and financial reporting allows you to track metrics in multiple territories. Tutorware was build from the ground up by tutoring entrepreneurs. As “bootstrappers” who started with nothing and build a large tutoring company that made the Inc. 5000 three years in a row, we know startups. Tutorware was designed to help tutoring companies of any size grow and scale. Contact us for special startup pricing. We can help you succeed. Manage large-scale education enterprises with real-time visibility into sales, operations, HR, billing and finance – all in one intelligent package. Tutorware’s comprehensive suite provides CRM, ecommerce, financial and reporting capabilities for education organizations with multiple territories. Tutorware donates a portion of its profits to Prepology Foundation, a non-profit 501(c)3 that provides free computer coding classes to underprivileged youth. Tutorware believes in giving back to the community and in providing underserved youth with exposure to one of the most important skills in tommorow's world.